For a fun afternoon in the five boroughs or other parts of NY, see our complete list of places to row boat in New York. Explore the most lush scenery by taking advantage of row boating in New York. 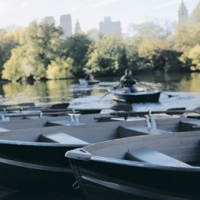 Find parks and other beautiful venues that offer New York row boating. A Wonderful Row Boating Club in NY! An all-volunteer, non-profit membership organization in New York; Sebago Canoe Club offers boating activities like sea kayaking, cruising, canoeing, sailing, kayak fishing, and row boating. 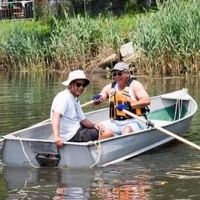 For many years, the members of the club have gone on row boating adventures in Brooklyn's Paerdegat Basin, Queens' Jamaica Bay, and other parts of NY. Although no formal lessons will be provided for the novice row boater, the more experienced members will be more than happy to show you the ropes. If you're interested in becoming a member of this fun-filled NY boating club, send an e-mail to membership@sebagocanoeclub.org or download the membership form on the website. The members form a motley crew of kayakers, canoeists, sailors, rowers, and flatwater racers. For over 75 years Sebago has attracted members of every age, interest, and ethnic group. Row Boating in NY's Most Famous Park! A famous icon of New York's Central Park, The Loeb Boathouse is home to one of the best restaurants in the state. 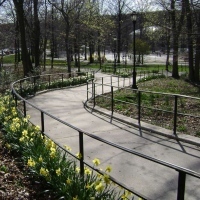 Before or after you enjoy your scrumptious meal, you can rent rowboats and further explore the historic NY park. The boathouse now contains a fleet of 100 new boats and 3 kayaks. Weather-permitting, you can rent rowboats anytime between 10 A.M. and dusk, from April until November. A cash deposit is required prior to rental. Up to four people are allowed per boat. Life jackets will be provided. Children under 12 must be accompanied by a parent or adult guardian. Row Boating, Paddle Boating, Canoeing, and more! If you're looking for places to go row boating in New York; the Red Rock Ponds RV Resort allows you to enjoy row boating, paddle boating, canoeing, and other water-themed activities. The resort's tranquil pond is perfect for bass fishing. All pond fishing is catch and release, so no license is required. Red Rock Ponds is conveniently located near a list of beaches, amusement parks, museums, and shopping in the area. If you drive a little farther, you'll even find Niagara Falls! Resort amenities include a wi-fi hot spot in the main building, a laundromat, a general store, a shower building, a pavilion, a book exchange, arcade games, and a pool table. Plus, there's an all-you-can-eat pancake breakfast each month! NY Row Boating in a Beautiful, Historic Park! An environment rich with natural history, Clove Lakes Park is one of the go-to places to row boat in NY. 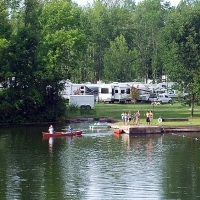 Amongst its 191 acres are four lakes and connecting streams where you can enjoy row boating, paddleboating, and freshwater fishing. Rowboating and paddleboating are permitted from May through October, on Saturdays and Sundays from 11 A.M. to 5 P.M. In addition to row boating you can enjoy such activities as basketball, soccer, baseball, football, ice skating, jogging, and hiking. For a great dinner, stop by the small and lovely Lakehouse Restaurant. The entire park is filled with beautiful scenery, so be sure to take pictures! Row Boating and other Great Outdoor Activities! Located on the eastern portion of the Lake Ontario shoreline, Fair Haven Beach State Park has one of the finest public lakefronts in its area with towering shoreline bluffs, sandy beaches, and adjoining hilly woodlands. 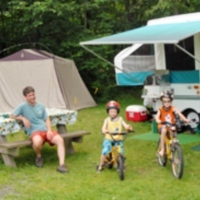 If you're planning on making it an overnight trip, campgrounds and cabins are nestled within the woodlands. The slew of outdoor recreational opportunities include fishing, swimming, biking, hiking, picnicking, winter snowmobiling, snowshoeing, cross country skiing, ice fishing, row boating, paddle boating, canoeing, and kayaking. If you're an avid golfer, take advantage of the park's 18-hole golf course!